This is what I love about this competition is that it forces me to get out of my comfort zone and think way outside of the box! Metallic was something I wouldn't really pick on my own but now I don't think I'll shy away from it! 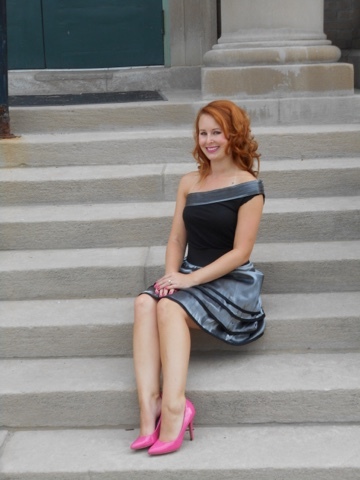 I was so lucky I scored this beautiful metallic formal dress! First, I made a waistband out of 3 inch black elastic. (See where I'm going with this...skirt!) 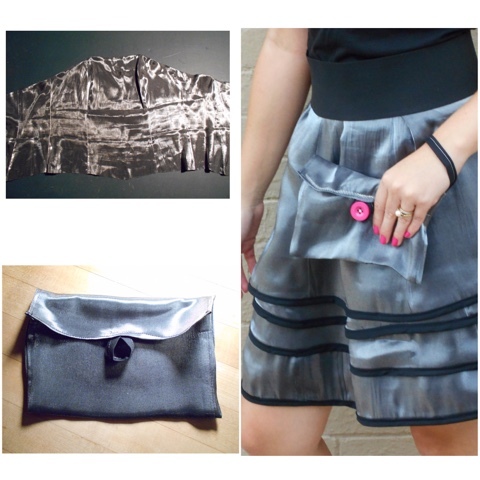 The dress had a black lining under the metallic fabric so I used that to make a skirt. Then I cut 4 strips of metallic fabric to make a layered skirt. 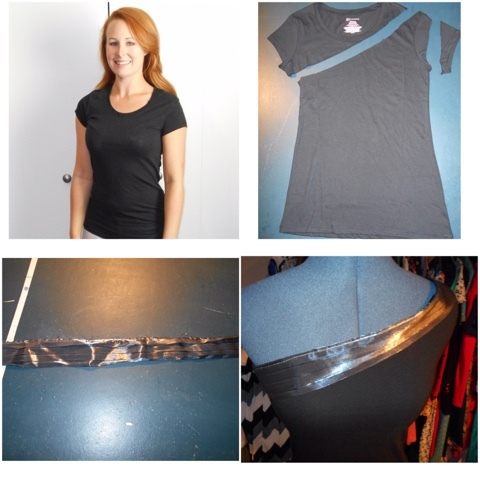 Instead of hemming each layer of metallic fabric I used black bias tape! I think it really defines the layers too! I had a solid black t-shirt, in stock! I removed the top decorative layer of the original dress. 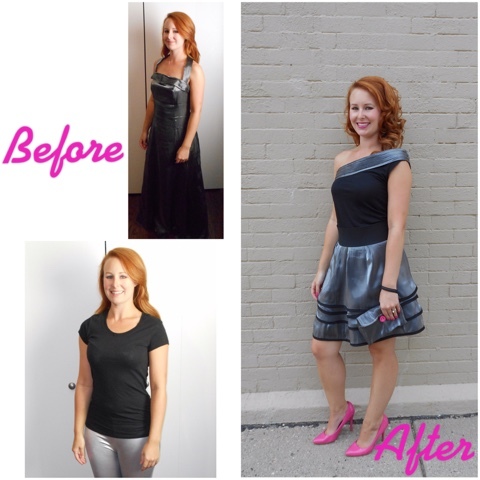 I cut the t-shirt at an angle to make a one-shouldered top and then sewed on the decorative piece from the metallic dress. 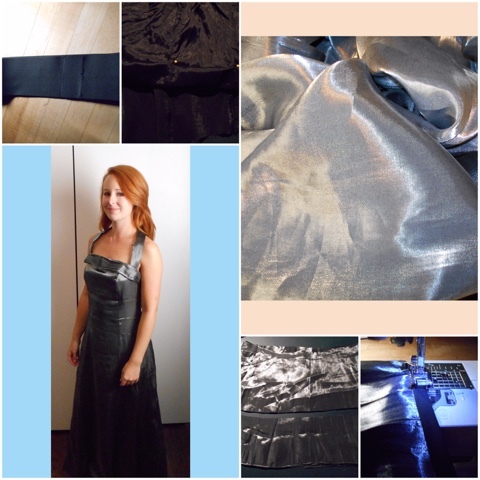 I had left over fabric from the top of the original metallic dress...but what to do with it? I made a wristlet! I sewed the scrap into a square, added a button loop and wrist loop made of black bias tape scraps and sewed it together with silver metallic thread! Then added a hot pink button as an accent! You look very nice in this! Wow, really nice job! I adore the neckline! So cute and fun. It is a very pretty outfit. I love the pink touches too.